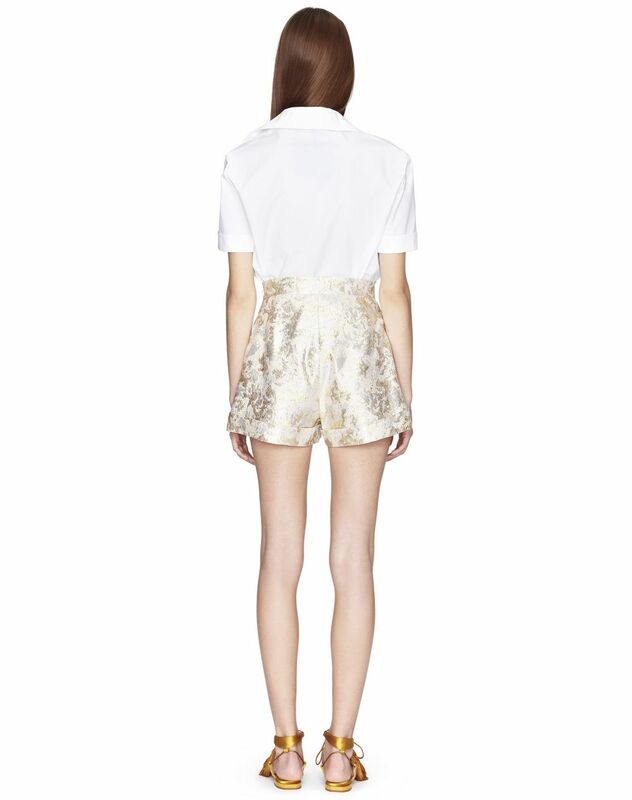 Lamé jacquard cropped shorts, high waist, side flap pockets, tone-on-tone topstitching, turned hems, and invisible closure on the left side. The End Of Year Capsule Collection by Lanvin features unique pieces enhanced with exquisite jacquard motifs inspired by the brand’s archives. 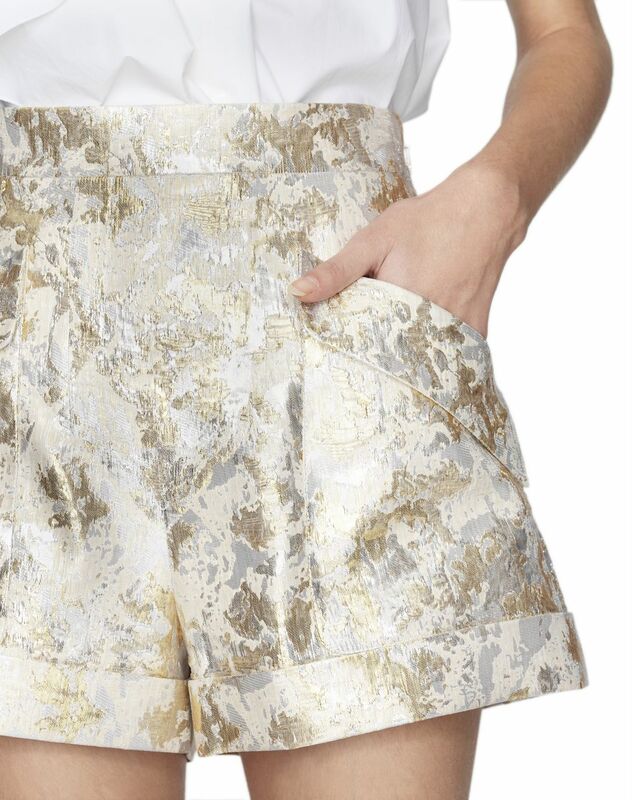 These cropped silk shorts stand out for their straight cut and gold lamé jacquard motif which gives the glamorous, feminine piece its striking luminosity. 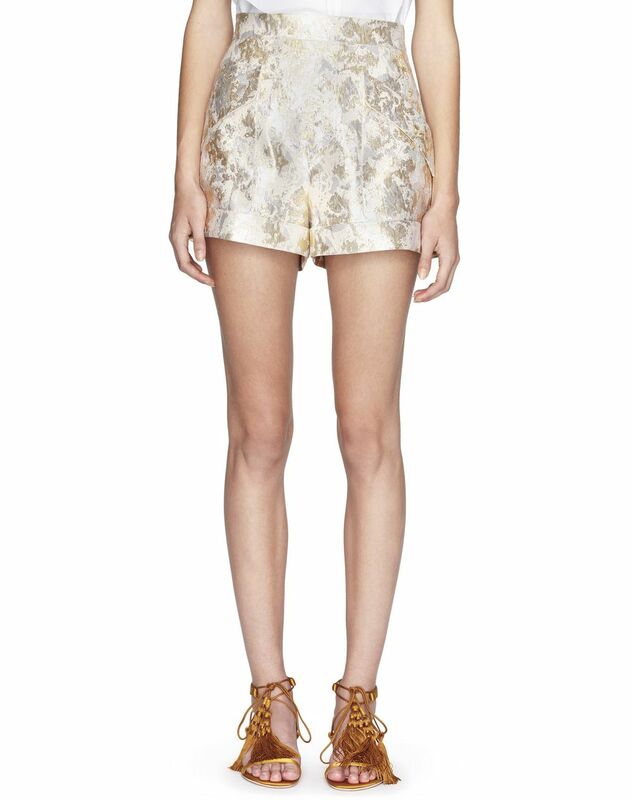 Paired with a white jersey T-shirt embroidered with lurex "Soleil" motifs, this piece looks impressively radiant. 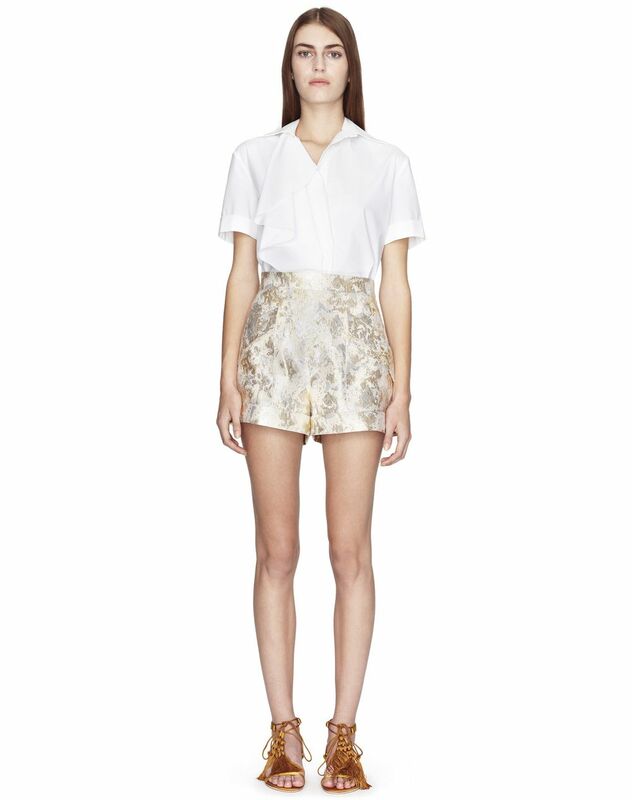 Main material: 52% silk weave, 48% polyester weave. Lining: 100% silk weave. Model's measurements: Height: 5’ 10” Chest: 33” Waist: 23.2” Hips: 34.6” Model wears a size 4. Made in Spain.